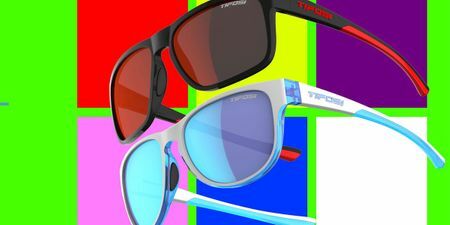 Tifosi’s golf sunglasses feature lens tints made to up your game. There’s the GT lens that boosts contrast so you can better track your ball in flight, the EC lens that excels as a terrain reader, and the Brown Fototec lens that is a pleasing tone that transitions from a light tint to a dark tint as the day becomes brighter. New Enliven™ Golf lenses enhance color for better green reading. Interchangeable models come with both the GT and EC lenses along with a smoke lens great for full-sun conditions. Take your shot with Tifosi golf eyewear today!